I was fortunate to be invited to Jiayu Jeng’s Talk Tonight show on KTSF Channel 26. I enjoyed her shows and loved her warm manners and engaging style. My mother was a fan of Jiayu. She wanted to advise me on how to answer the sensitive questions about the Occupy movement in Hong Kong. I didn’t mean to be rude but had to clear my head. I wrote in English, in part to avoid being judged by my own family. Now an interview in Chinese would put me in the spotlight. I would only give my honest opinions. Jiayu was tall, slim, and gorgeous, wearing a white dress sewn with black stars at the bosom that flaunted her enviable curves. My jitters relaxed into warm gratitude. I felt like royalty even in my plain clothes. It was my first time in the studio. There were two cameras, one on my left and the other behind me. I didn’t know where to look. Her face, so pleasing, her smile, so warm, she could be my sister. Jiayu began the interview by praising my novel. Jiayu: As I started reading, I couldn’t put it down, honestly. I had to find out how it ends, and I finished last night. It was almost like watching a spy movie, so vivid and gripping. The social background was lovingly rendered, the characters well drawn. Yang: Bao (the protagonist) moved me, too. I rewrote the story several times over the years. Bao gradually lost her radical political views and became a human rights activist. I grew with my heroine, Bao, and gained a deeper understanding of her story. Jiayu: How did you plot this story, connecting the dots: giant pandas, the one-child policy, and the student movement? Yang: I always loved pandas. They are national treasures. The story takes place in 1989, during the time of the Tiananmen Square massacre. It was a national tragedy, as China lost a historical opportunity. But I wouldn’t dwell on the tragedy. I wanted to see hope, so I let Bao, a law student, fall in love with Tong, who is a soldier. Since they are lovers, of course she becomes pregnant. But the social environment is not right for their child, so she loses the child. She begins to question what kind of a woman/mother she wants to become. She starts to grow and finds her inner strength. 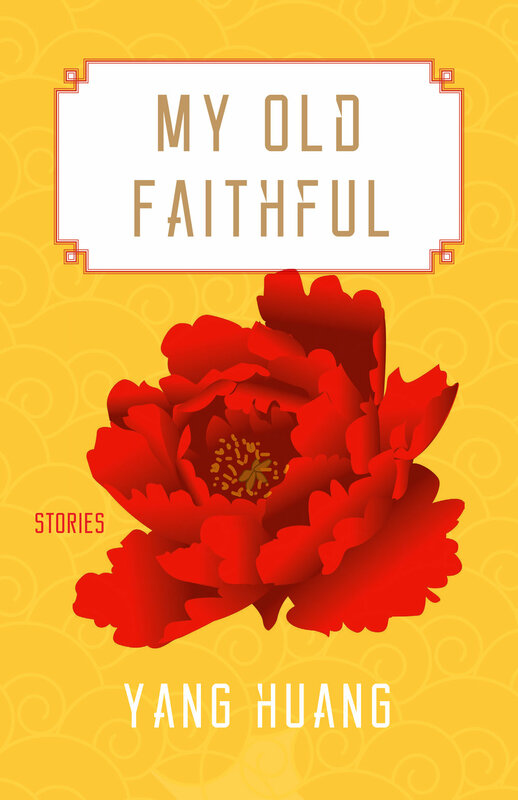 When she meets Orchid, a village woman hiding from the one-child policy enforcers, Bao is no longer the meek teenager she once was. She makes a personal sacrifice to save Orchid. Her tragedy is a metaphor of the Tiananmen Square massacre. But the story ended differently for the students as it does for Bao, who rises from her tragedy with the help of her soldier boyfriend and becomes a grassroots human rights activist. The students in 1989 yearned for a democratic government. In my opinion, the difficult grassroots work will eventually bring democracy to China. A panda is a national treasure. Through writing my novel I learned Chinese people are also national treasures. Every child is a living treasure. Only after 1.3 billion Chinese people become living treasures, will their human rights be protected in China. Jiayu: Have you always wanted to write in English? Yang: I’ve always wanted to write. I couldn’t write in Chinese because of the censorship. I have a Chinese blog on http://blog.sina.com.cn/yangwrites, where the sensitive words and blogs are routinely deleted. If you write “Nobel Peace Prize,” your blog will evaporate in an instant. It’s difficult to write in codes and illusions. I can write honestly in English. I had studied English for many years and gotten a BA, an MA and MFA and made friends with a lot of writers. Writing is a difficult task, because you have to look into your soul and struggle against the fate. Jiayu: Are you serious? Why do you struggle against the fate? Yang: If you only record what happens in the real life, the story can be shocking, but it lacks energy, introspection, or meanings. You must rise above the mundane. You cannot give in to fatalism. Your spirit soars and can overcome tragedies and even death. In writing you can find the hope that is often absent in the real life. Jiayu: Don’t you enjoy writing? Yang: I do, very much. Jiayu: Why is it so hard? Yang: It must be hard. If you consider yourself talented and write easily, you’re in real trouble, and your work may not be that good. You must overcome your pride and prejudice, peel away the layers of hypocrisy to expose your pristine vulnerable heart, and from the depth of your despair you discover a story that moves the readers. Some stories, that seem so simple, are the fruits of hard labor by the great minds. Jiayu: What are your expectations for your debut novel: good sales, influence, or made into a movie? Yang: I hope more people will read Bao’s story. Most young people in China didn’t know what happened in 1989. Western readers learned about it in the history books. They could see the Chinese society at the time in Living Treasures. I lived through that tumultuous time and could visualize the authentic details. Living Treasures is an educational historical novel, especially good for the library, rather like a reference book. Living Treasures is one of the top ten historical novels of 2014 by the Foreword Reviews. History will repeat itself if we don’t educate ourselves about the past. We hope the Occupy Central students in Hong Kong will be more effective than we once were. Jiayu: It’s also a love story. The book speaks to different people on different levels with different meanings. A good novel can accomplish all that. Why is the title called Living Treasures? Yang: A panda is a national treasure. Human lives are as precious as pandas, hence the title Living Treasures. Jiayu: Although Bao doesn’t take part in the student movement, the topic of student movement is as relevant today as it was in 1989. There were student movements in Taiwan: the Wild Lily student movement and the Sunflower student movement. There is Occupy Central in Hong Kong today. You must have followed the student movements in all three parts of China. What are your opinions? How are the students different in Taiwan, Hong Kong, and mainland? Yang: We envied the students in Taiwan, who lived in a democratic society. They could protest when the government didn’t represent their will. They could voice their dissent and win the support of the public. The students in Hong Kong know they are free people, and they are fighting for the voting rights. We are in support of them. The mainland students in 1989 didn’t think that they were free people. Jiayu: You took part in the democracy movement, right? Yang: I did, as a participant in the mass demonstrations. I wasn’t a leader. Democracy is so important. We wouldn’t have eight-hour workdays, minimum wages, or woman’s voting rights if people hadn’t fought for them. But I was more interested in the human rights issues. Human rights include the rights to life, property, dignity, posterity, and pursuit of happiness. Human rights are the most fundamental rights. Without them there will be no democracy, equality, and justice. Many people say that China is too populated, and people are not well educated, or that China is not ready for democracy. Which came first, the chicken or the egg? If people couldn’t express their opinions, they had to bribe the officials. The officials have the absolute power. This leads to the corruption and wealth gaps that plague the Chinese society. Jiayu: (Big Smile) You know his words by heart! But his approval rating is low in Taiwan. In a democratic society, you can criticize the president. Yang: President Obama’s approval rating is not high. There is always dissonance in a democratic society, as people have meaningful debates. Jiayu: Your book launch party is on Nov. 18 at Green Apple Books. Where can people buy Living Treasures? Yang: Living Treasures is available at Green Apple Books in San Francisco, Amazon.com, Barnesandnoble.com, booksamillion.com, and other sites. Readers are invited to my launch party at Green Apple Books in San Francisco. I will sign the books. If you drop me a line, I will send you bookmarks and autographs for free. See my website www.yanghuang.com for details. Jiayu: Congratulations! I hope Living Treasures will sell well and become an influential book. Yang: Thank you. I look forward to discussing Living Treasures with the readers. I left the TV station at midnight, feeling a bit dazed but energized. Jiayu seemed easygoing but asked some difficult questions. She patiently waited to hear me compare the student movements in Taiwan, Hong Kong, and mainland. This touched a nerve. Would my mother disapprove my political stand? I came from the mainland where people are not free. A majority of people are used to being told what to think, how to feel, and overtime, they are afraid of freethinking. I know how many years it took me to start thinking again, greasing the rusted hinges of my mind with freedom, a luxury not available to most people who were brought up by the propaganda machine in China. For this hope I have written a book of love for China, her people, her treasures, and the pandas that grace the mountains of Sichuan.